24" x 27" x 2" thick with 7 - 6" pots and 1 - 9" pot. Predrilled. 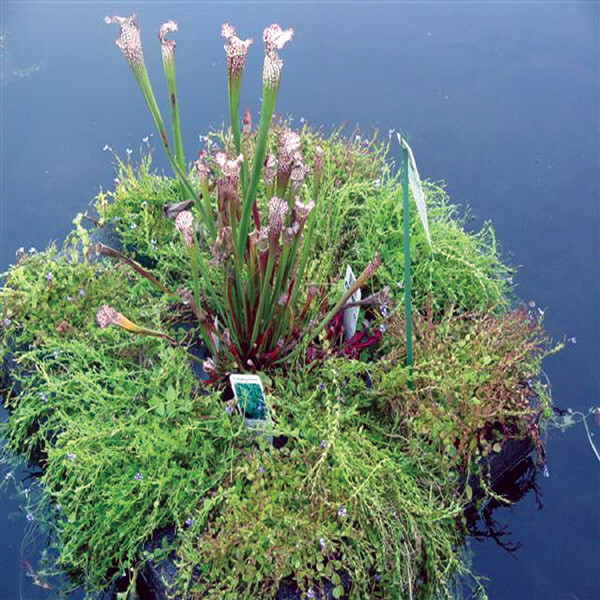 The Mini Raft is one half the size of the Centerpiece Raft and should fit even in a relatively small pond. It has the same size pots as the Centerpiece Raft, but one half in number. As with the other rafts, it is free of fish intrusion and is great to help improve water quality. Plant selection determined at time of order and based on availability.